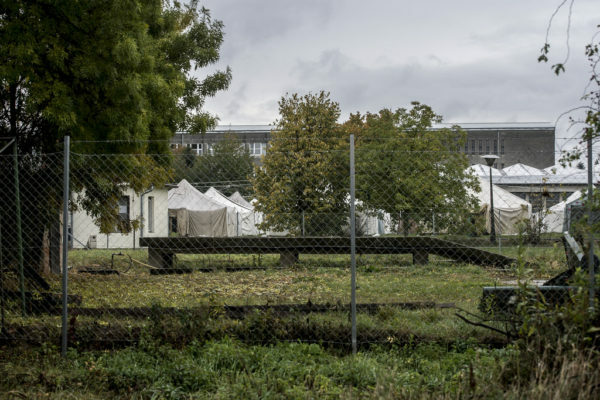 Despite the rain and low temperatures at night, refugees in Körmend are still kept in tents. There is room to keep some of these people in better conditions but the Immigration and Nationalization Agency (BÁH) instead recently chose to buy some wood-burning stoves instead. The agency has said nothing regarding its plans to keep the camp open. Imagine having to living in a ten-person military tent, one that is soaked from rain, has no floor, just a thin plastic wrap, and where the lights only work after dark. A report by the Hungarian Helsinki Committee in May shone light on conditions at the BÁH’s Körmend camp. Now, imagine that 13-15 refugees live in these same camps at a time when temperatures are near freezing, it is always raining, and even during the day it does not get much warmer than 15 degrees. BÁH decided to address these issues with insulation and stoves for burning wood only after we asked them how cold it was at the camp, and there is still no indication that they intend to close the camp. It was raining around the country on October 11, including Körmend. One could wallow in the pools of water around the local law enforcement school. The grass was wet and it was a very cold day. “I thought their butts might freeze,” says a local convenience store worker, referring to the refugees living in tents in the yard of the local high school. 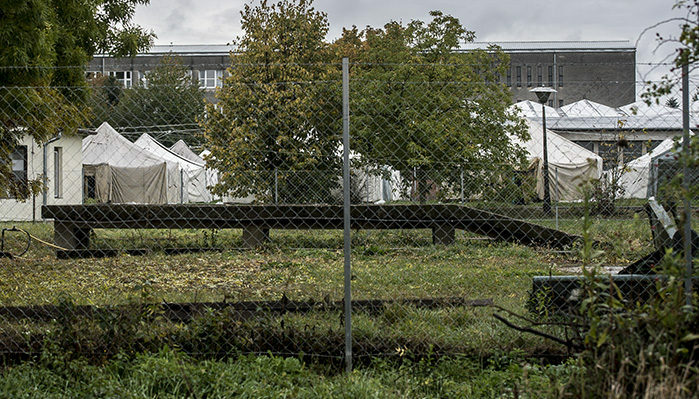 The photo was taken from behind the fence because the BÁH – ever since the start of the refugee crisis – has refused to allow journalists access to refugee camps supported with public funds. An Abcúg journalist, with the assistance of the Hungarian Civil Liberties Union, has filed a lawsuit against the Hungarian state because of this. Information about the conditions at the Körmend camp can only be obtained through second-hand sources. It is an open camp whose residents are free to come and go. On October 11, however, we did not find a single refugee outside the camp. A local grocer remembers groups of refugees would come shop at the store but they hardly do any more. Only occasionally a refugee might pop into the store. One of the reasons could be the weather. But it may also be because the 300-person camp has been nearly empty for months. It had only 20 residents at the beginning of September, falling to 13 by October 17. These 13 appear to have a tough life at the camp. The Hungarian Helsinki Committee provides legal assistance at several camps around the country, including Körmend. “Our clients have been complaining for weeks that they are very cold at night,” says Gábor Gyulai, the Helsinki Committee’s refugee program director. According to Gyulai, the Körmend camp is unfit to live in during the colder season. “It gets soaked when it rains. Even in the summer, for example, the water was standing under the tent, water was standing everywhere,” Gyulai says. He believes the conditions are similar to those at refugee camps in the Third World where they house thousands of individuals. But this is not the case in Körmend because there are now only 13 people there. Gyulai says this number could have dwindled due to the cold weather. There is no motivation to stick around when the asylum seekers could easily enter Austria by crossing the border, which is only a few kilometers away. The camp has no sports, no organized events and no Hungarian language class, but Gyulai says the inmates want to learn Hungarian. They have little interaction with local Hungarians but this happens to be the case with other camps too. “If you have absolutely nothing to do for months, if it becomes unbearably cold at night, if there is no indication that things will get better, it’s no surprise that sooner or later these people will take off towards the border. We see this with our clients. The cold is the [straw that breaks the camel’s back] amongst our most dedicated clients,” Gyulai says. We asked BÁH how they see the situation, how long they plan to keep the camp open, and what steps they have taken to prepare for the cold season. BÁH responded on Monday. It is moving the 13 asylum seekers to heated tents, it wrote. “The tents have insulation, and a furnace has been installed in the middle of the tent,” BÁH said. According to the Hungarian Helsinki Committee, the tents did not have furnaces in them on Monday, so they must have been installed at a later time that day or sometime after that. One of the refugees measured the temperature inside the unheated tent on Saturday. It was only 12 degrees. We also asked BÁH how long they plan the plan to keep this camp open. “The fate of the camp at Körmend depends entirely on the migration situation,” the authority replied. This is the same answer BÁH gave when we asked about their plans for the camp in July. It was also what they said in September. BÁH announced the closure of one of the larger refugee camps in Bicske in September. 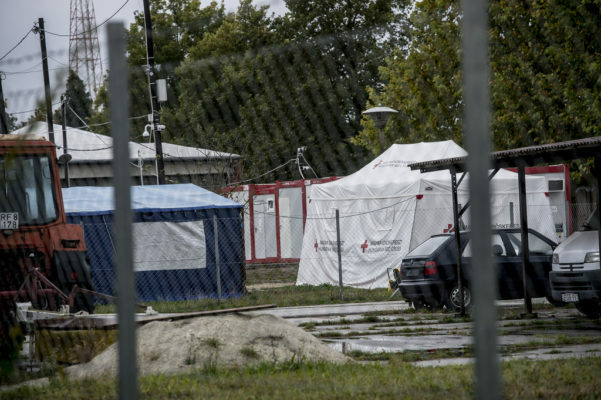 Gyulai says the Bicske camp’s conditions were considered to be among the best, and the Körmend camp is consider to be the worst of the Hungarian camps. According to the Hungarian Helsinki Committee’s information, BÁH will not close the camp at Körmend for the winter. Gyulai says camps with cement buildings are considered outmoded in Europe, and refugees in Western Europe are provided shelter in private homes or hotels, in buildings operated by NGOs and churches. In such cases the goal is to ensure proper conditions for families. 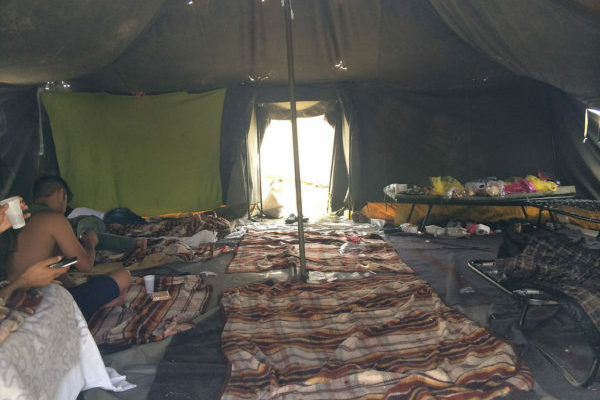 Why the Körmend camp still operates does not make sense because camps with better conditions have not even been operating at half capacity in recent months. The Körmend, Vámosszabad, Bicske and Kiskunhalas camps are still open. In mid-September there were 356 residents in total in camps that together could provide shelter to 881 individuals. Surely there would have been room for 13-20 refugees from Körmend. BÁH’s argument that the fate of the camps depends on the migration situation is logical but the number of asylum seekers arriving in Hungary now does not justify keeping the camp open. The number of asylum applications received in January was down 82 percent over 12 months earlier. And fewer arrived over the summer. According to law enforcement statistics, there was no day in September and October when more than 28 illegal border crossers were apprehended. There were even days when none were detained. Of course, this number could change. A certain number of asylum seekers can be admitted to the country through the transit zones (we have written about this difficult process here), but experience tells us that the number of asylum seekers arriving during winter is significantly less. According to Gyulai, the government is currently closing the cement building camps and instead constructing camps like the Kiskunhalas container camp or the Körmend tent camp. “They have moved away from longer-lasting [camps] to more temporary camps,” he says.